Last week, I had some free time since finals were over and I had basically a week off from school. As usual, I spend my free time on Pinterest and I have been seeing these lovely, woven wall hangings, and wash cloths, and gorgeous rugs and blankets. I have always thought weaving was difficult and complicated, those big looms you have set up, I wanted to start off with something very simple. 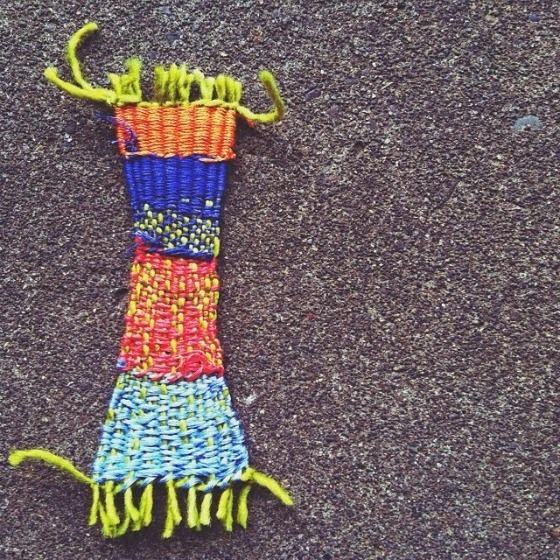 I kept searching for simple weaving, and found the perfect, tiny loom. I found out how to make a loom out of an embroidery hoop! 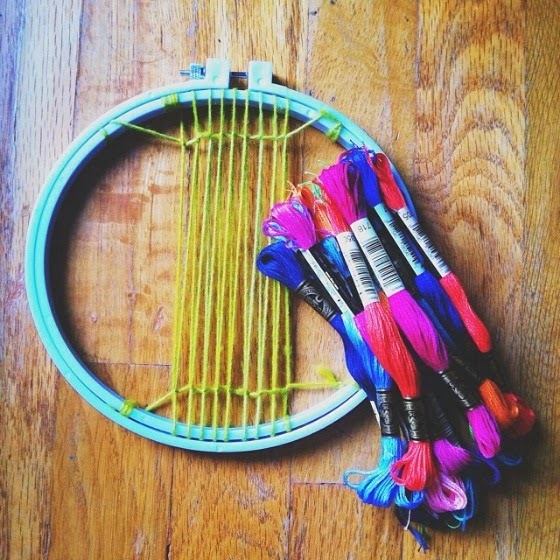 I trekked to Craft Warehouse and purchased an embroidery hoop, along with an array colors of embroidery floss to get me started with "mini" weaving. I was very confused on how to begin this. I picked a color, and I tied it to one of the sections of yarn, I took a bigger needle with no point and began to weave. I knew I wasn't doing it right, but I am just a beginner. Toward the end, I started getting the hang of it. 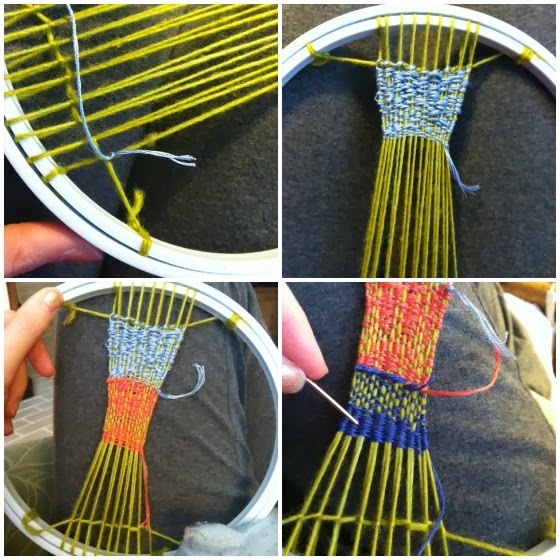 It doesn't look like actual weaving, but to me it looked pretty neat. I was proud of my project! With more practice, I am sure I will get the hang of weaving, and pretty soon I will be weaving beautiful wall hangings from a more professional loom. I love the pretty colors of this "tapestry". I am not sure what to call it. It isn't a book mark, it isn't much of anything, but I am proud of myself, creating something that is colorful and interesting to look at on my first try. I will keep up the practice, I am exciting to see what other things I can weave.